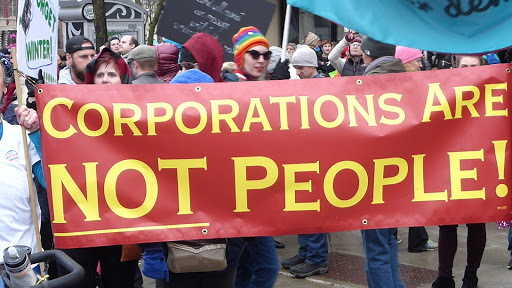 Madison, WI (April 5, 2017) – On Tuesday, April 4th, Wisconsin residents in eight communities voted to amend the U.S. Constitution to clarify that only human beings should have inalienable human rights and money is not the same thing as free speech. All referenda passed with overwhelming majorities: Racine (81%), Monona (91%), Fox Crossing (81%), Blue Mounds (88%) and the towns of Crystal Lake (79%), Caledonia in Waupaca County (70%), Blue Mounds (84%) and Jordan (71%). It was not on the ballot in the town of Neshkoro, as previously reported. That brings the total to 105 Wisconsin communities that have called for an amendment. In total, 2.8 million people (48% of Wisconsinites) live in these jurisdictions. Across the country, 18 state legislatures have voted for an amendment, as well as over 730 towns, villages, cities and counties. 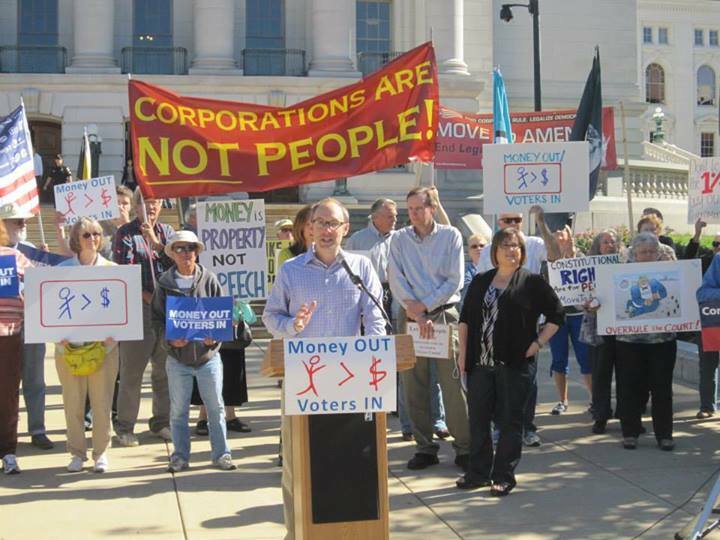 On Wednesday, April 19th, Rep. Lisa Subeck and Sen. Dave Hansen will introduce resolutions that would create a statewide Citizens United advisory referendum asking voters if they support allowing corporations to spend unlimited amounts of money on political campaigns. For more information, see press release. 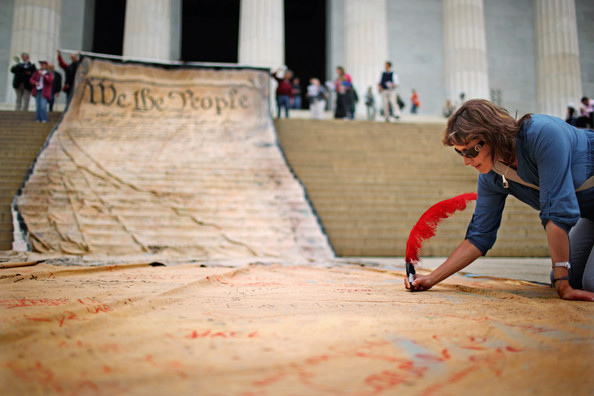 Four in five Americans oppose the Supreme Court’s Citizens United v. FEC decision, according to a Bloomberg poll. 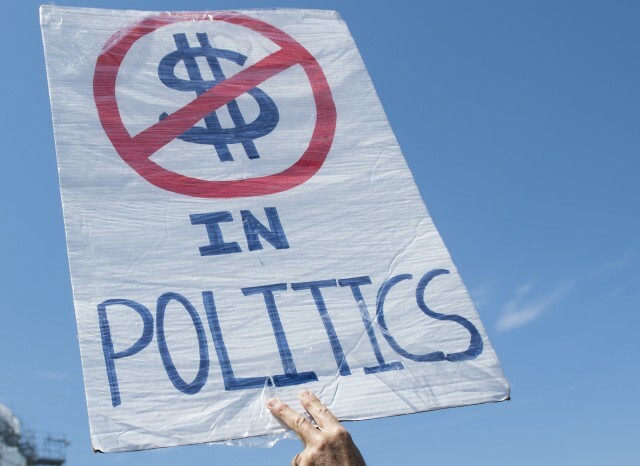 A New York Times/CBS poll from June found that 85 percent of Americans—including majorities of Democrats, Republicans, and Independents—believe we need fundamental changes to our campaign finance system or to completely rebuild it. Background material can be obtained here: pdf1, pdf2 and pdf3. Photos: photo1, photo2, photo3, photo4, photo5, photo6 and photo7. How do we stop America's decline? The country is in trouble and we can all feel it. Where did we go wrong? How do we fix it? 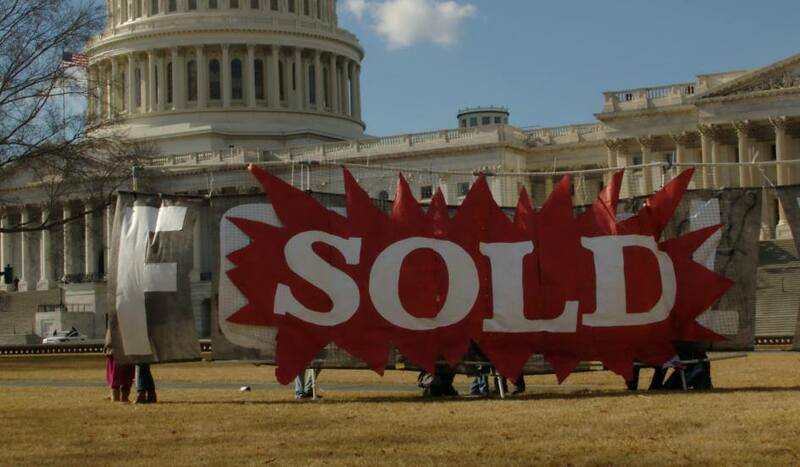 We now have an auction-based government, for sale to the highest bidder. 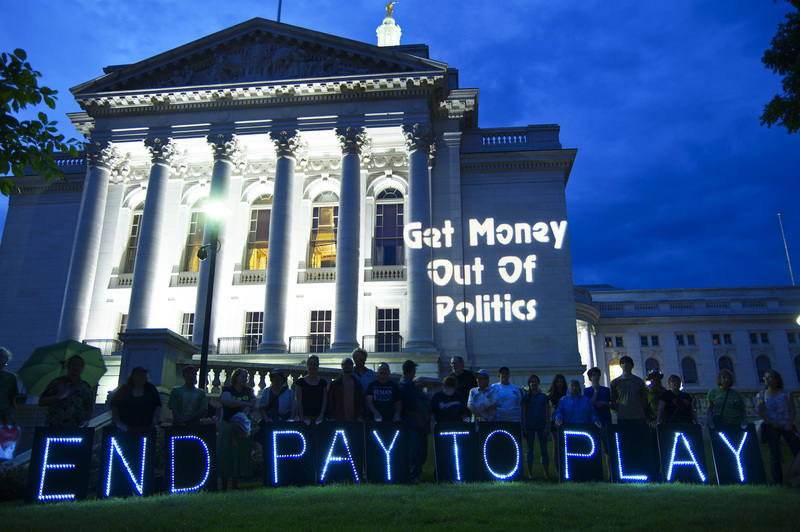 Politicians have become nothing more than corporate whores and pawns for the rich. If we want our representatives to represent us, let them get their campaign money from us, their constituents. 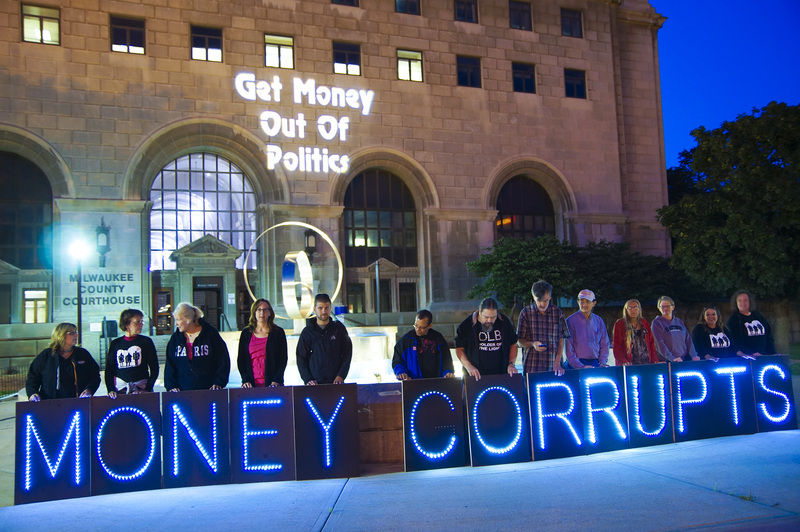 We have to amend the constitution to get the big money out of politics.